With a beautiful Victorian façade, and internal grandeur of an Art Deco heritage building, The Savoy Hotel on Little Collins is the ideal location for your next event. 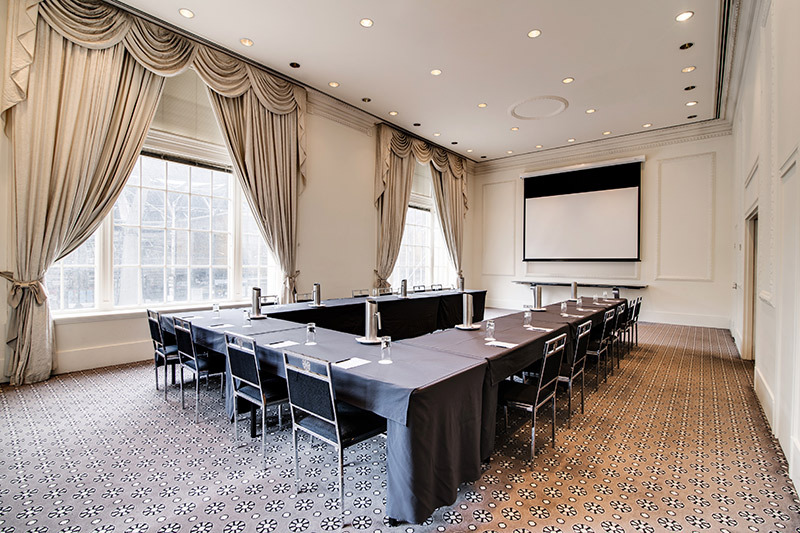 Centrally located in Melbourne’s CBD and close to several corporate headquarters, the building is ideally placed near Southern Cross Station to easily accommodate international and interstate guests. Boasting 163 contemporary guest rooms with a stylish Art Deco design, the hotel can host guests requiring accommodation during your event. Featuring six stylish yet spacious and versatile meeting rooms, with natural light, bold geometric patterned carpets, linear angled pillars and classic tray ceilings. Sizes range from small meeting spaces to our luxurious ballroom catering for special events, gala dining, weddings, school formals or annual conferences. Catering for all your needs, our conference, events and wedding facilities are designed for comfort and style. Offering a variety of dimensions, designed to accommodate between 130 people in a theatre style or 320 people in a cocktail style event. The hotel can arrange a theatre, classroom, banquet, u-shape, boardroom, cabaret or cocktail style layout depending on your needs. If you have a requirement for multiple rooms, all five spaces are co-located on the same floor so moving between venues is a breeze. Food, drinks and beverage menus are available and can be packaged together with conference and event room rates. Delicious meals ranging from cocktails and snacks to four-course dinners – can be created by our team. We offer a range of cold or hot, finger-food or sit-down meals for breakfast, lunch and dinner. We also have available a barista serving fresh coffee just the way you like it to ensure your delegates remain alert and on-point. Opposite Southern Cross Station, less than a minute’s walk to Melbourne’s tram network and with onsite parking, your event will be easy to access for all delegates. Close to Etihad Stadium, the Melbourne Exhibition and Convention Centre and both the Southbank and Docklands precincts, your next event is guaranteed to be a success. One of our members of staff at The Savoy Hotel on Little Collins will be in contact with you as soon as possible.